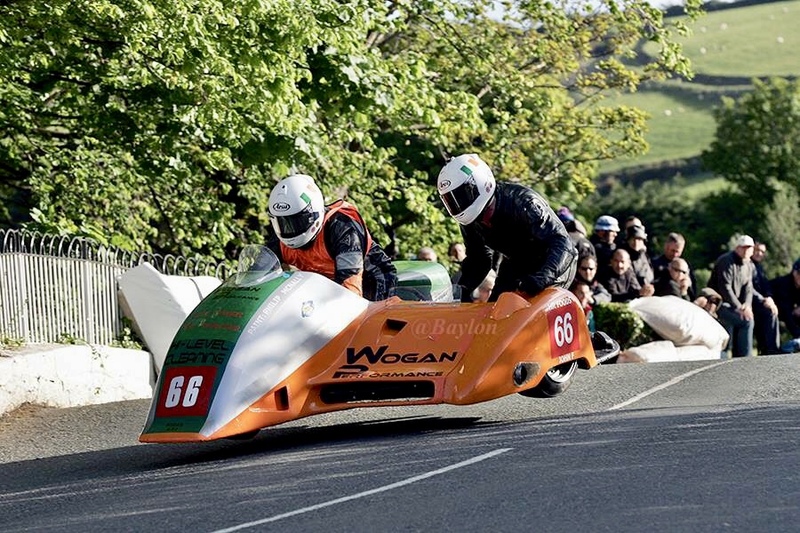 Following the untimely passing of much loved sidecar passenger Aidan Browne, a few initiatives have been setup to celebrate his passion for racing and help benefit his family. There will be a minute’s silence in his memory this weekend before sidecar race on both Saturday and Sunday. We will be having a memorial lap for him also on Sunday. To take part in the controlled lap, simply buy a sticker in the paddock beforehand. All money raised for the lap will go direct to Aidan’s family. A GoFundMe page has been setup also to help, just search Friends of Aidan Browne on the GoFundMe website. At the June Masters event, which is the annual Sidecar meeting, we will be fundraising also with a Beer and Burger evening on the Saturday night, all proceeds again to Aidan’s family. 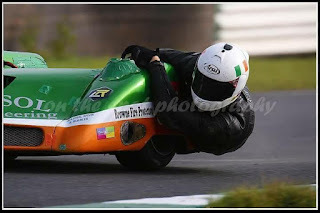 Aidan Browne was a fearless and talented passenger with vast experience in both road racing and short circuits. His vibrant and cheerful personality lifted everyone’s spirits in the good times and the difficult times too and his presence was felt across the paddock, not just within the sidecar families. His hunger for racing was limitless and his love of bikes infinite. Such a loss to the racing community all round, we’ll miss you terribly. Rest easy and Godspeed friend.